To ensure that your building is designed appropriately to withstand the weather conditions of your exact block of land, the design of every building must be developed specifically for your site and reviewed by an independent engineer. Do not accept quotes from shed suppliers who refer to 'w' values, i.e. W41 as these codes are obsolete. Quotes from shed suppliers that show wind speeds N2 or C2 or similar, are nominations applicable for houses and some small class 10a sheds. Ask the shed seller for a quote with the site wind speed expressed in metres per second. It can often be confusing when you're comparing one shed against the other. 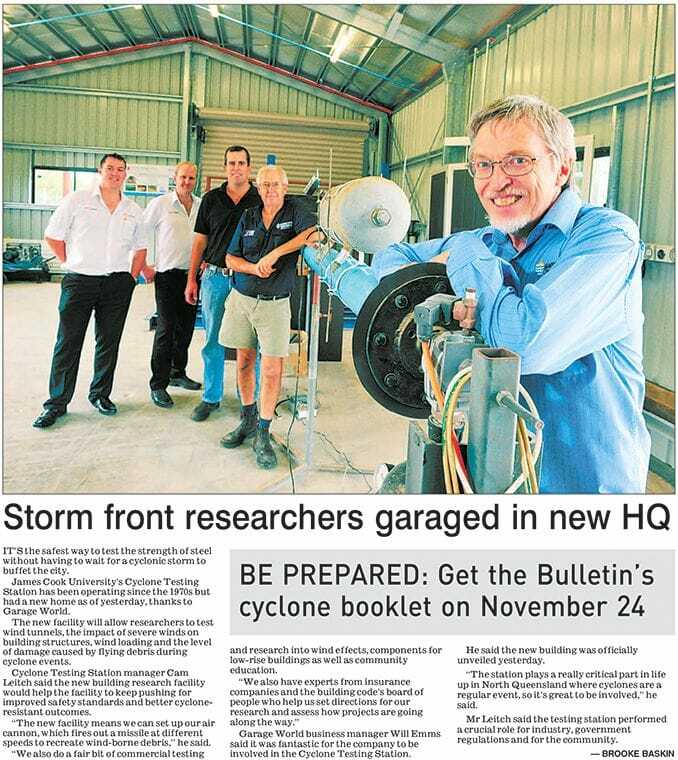 However when the scientists at JCU's Cyclone Testing Station were searching for the strongest shed on the market, they knew exactly what they were looking for in terms of strength and quality and we are proud to say Garage World was their choice. 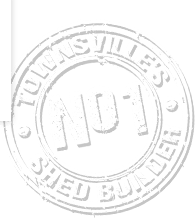 Talk to our commercial shed specialists and see examples of our different workshops, factories and large industrial sheds at Garage World Townsville. Or apply online for a FREE quote today.